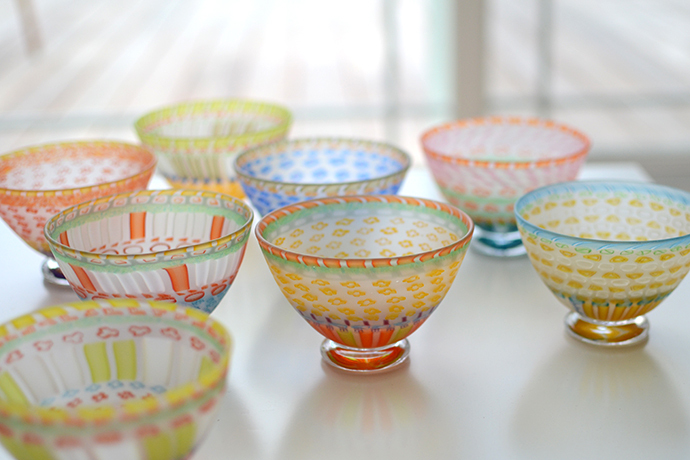 Glassmaker Ikushima Harumi specializes in the elaborate glass making technique known as murrine, which is used to create these colorful footed cups. The technique was started by the ancient Phoenicians, and was revived by Murano glassmakers in Italy. 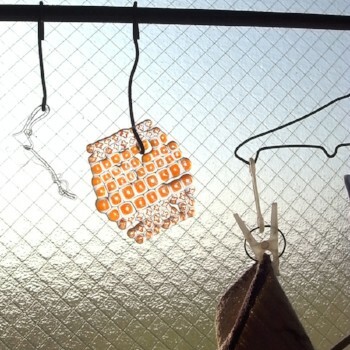 The murrine process begins by creating a fused bundle of colored glass into a design and stretching it into a cane. The cane is then cut crosswise to reveal the design and these pieces are called murrine. The murrine are then arranged into a mosaic, fused into a tile, picked up with a molten glass collar, and blown into a cup. 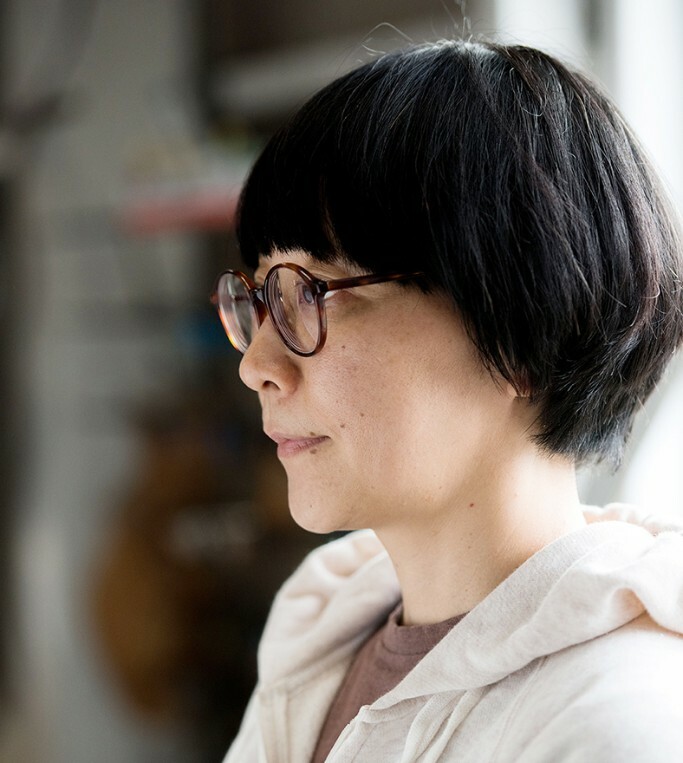 Harumi really enjoys this labor intensive work that also requires considerable patience. 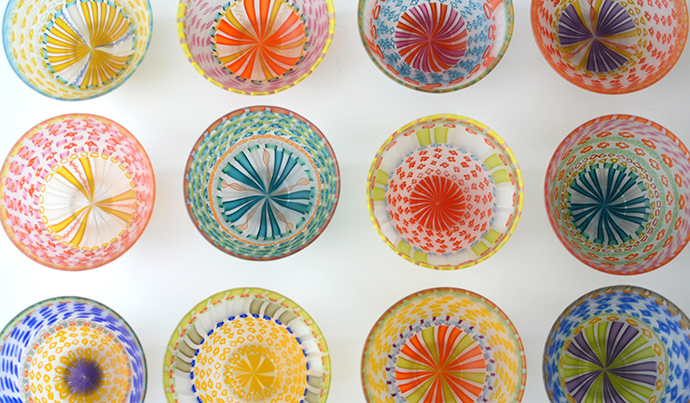 "I've been making these one-of-a-kind murrine cups every month for many years now, and their patterns and colors reflect my mood at the time of making"